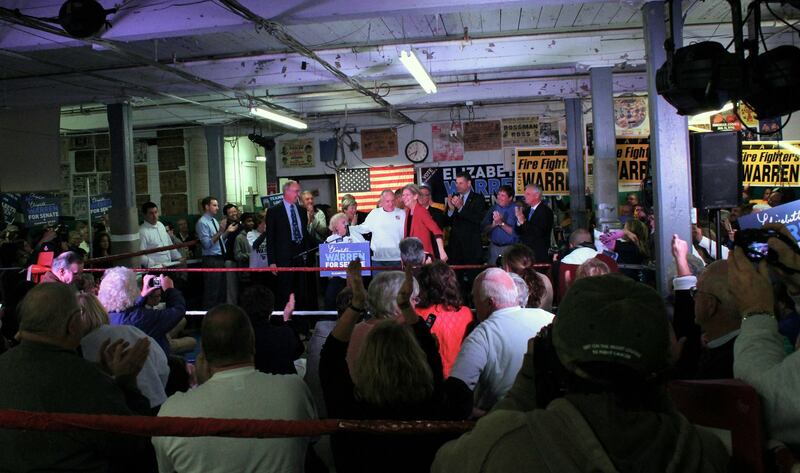 Last night Elizabeth visited Ramalho’s West End Boxing Gym in Lowell. 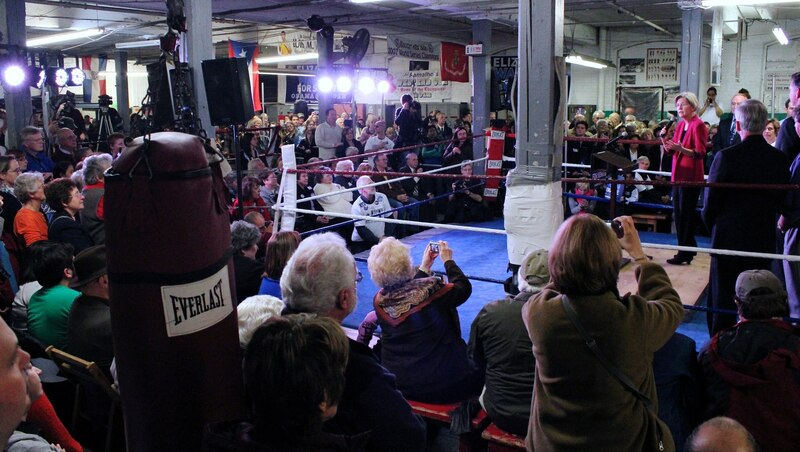 Gym owners, Art and Rita Ramalho, hosted the event and got the crowd fired up before Elizabeth joined them in the ring. Approximately 500 people watched as Elizabeth encouraged everyone to get into the ring with her and help Get Out the Vote this weekend. The polls close in FOUR days and our campaign needs your help! Knock on doors, make calls, and ask your friends to join you. Massachusetts’ families a fighter in their corner. Help Elizabeth fight for you.